Are you travelling for business or just taking that much needed vacation, even if it’s a long weekend away, there is no greater way to enjoy your stay than to hire a car service to get you around town, you hand the control over to the professionals so you can focus on more important things than fighting traffic. It’s hard enough when you travel to a new location, working out where you need to go and how to get there should be the least of your worries. By using a hire car service, the chauffeured drivers are friendly and knowledgeablet to get you where you need to be and can even help guide you on what’s going on in the city you’re staying. You can sit back and return calls, reply to your work emails or relax and spend time with your family with-out the worry of the traffic problems around you. Most of us don’t like to admit, but style is important. First impressions can be hard to reverse or undo, and they often set the tone for the relationship that follows. By arriving to your destination in a Burbank Hire Car it not only makes a statement, it gives you the opportunity to make a lasting impression. Our hire cars are newer and held to a higher standard than rental cars or taxi companies, to offer a smoother ride so you arrive to your destination in comfort. 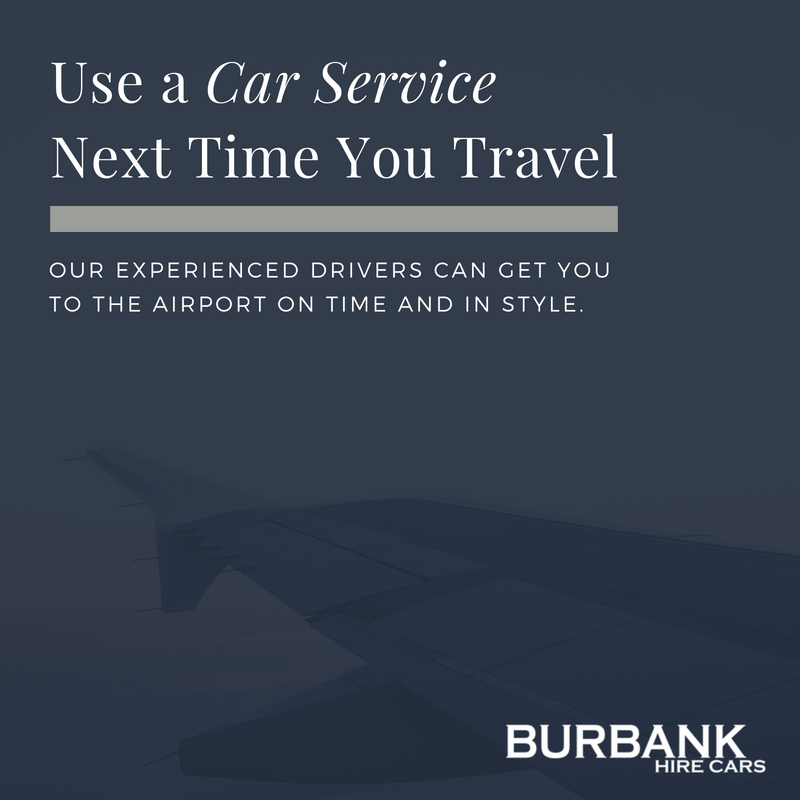 When you want a reliable, professional and cost-effective transportation service, Burbank Hire Car is the only way to go! You can trust our experienced drivers to get you to the airport, your hotel, conference or wedding, we’re here to provide you the highest quality luxury limousine service to arrive on time and in style.